Are you looking for the best rakhi gifts for sister? You are at the right place! The occasion of Raksha Bandhan commemorates the immortal bond between a brother and sister. With the month of Raksha Bandhan approaching, we often stat thinking about our siblings and the special place they occupy in our hearts. Raksha Bandhan, translated from Sanskrit, implies “The Thread of Protection’, which stands for all the silent promises that you make to your sister about loving and protecting her for lifetime. It is the festival of bright, lovely and colourful Rakhis, delicious sweets and not to mention the gifts. 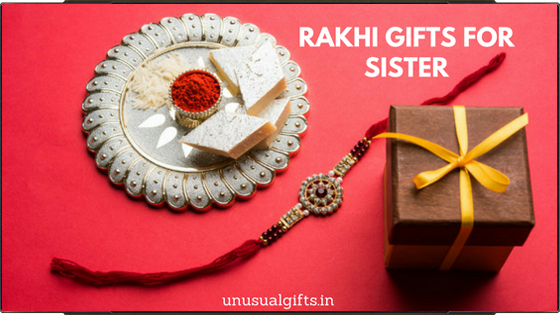 Here are few Rakhi gift ideas for sister that have been categorized under various brackets to make your shopping agenda easier and more fun. 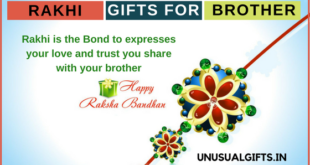 Figuring out Rakhi gift ideas for sister can be a bit challenging and stressful as it needs to be right, and straight from the heart, just like they pour out their soul in caring for brothers. Thus, its very important to find the perfect soulful Rakhi gift that will make them feel special. This is the one time to pamper her and it needs to be done just right. Be it the responsible elder one or your little fashionista, you need to convey your wishes in the best possible manner to make her feel loved and special. 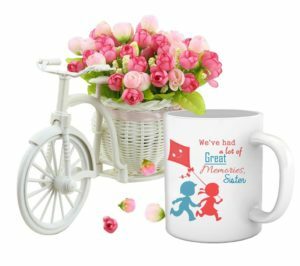 The high quality digital printed design mug available in a handful of colours and designs is a great gift to bring a smile on your sister’s face on the occasion of Rakhi. It also depicts the various shades of your sister and how special a bond you share for lifetime. This token of remembrance will always be cherished by your sister and she will remain forever grateful for the beautiful gesture. Your timeless bond deserves a great timepiece and this copper wrist watch presents a perfect pick. A beautiful casual collection from Relish, this wrist watch presents a high style quotient. The copper round dial comes encased within a protective metal bezel made of stainless steel and is highly durable. It’s a unique combination of quality, craftsmanship and style and a must have collection for all the ladies. 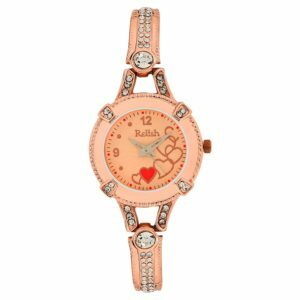 The Analog wrist watch in Rose Gold is amongst the most ideal rakhi gifts for elder sister. The handmade Pandora bracelet adorns Diy beads in silver and gold plated alloys along with Austrian crystals and American Diamonds. It’s a classy wear for all stylish, office and casual wear accessories. The Hot and Bold edition is a great jewellery item to gift your sister on Rakhi and she will definitely love it and flaunt it in every occasion. 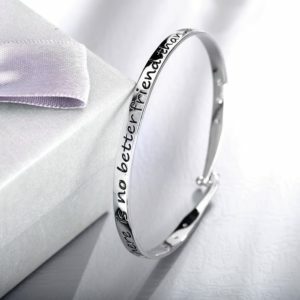 There is no better way of expressing your sister that she is your forever best friend than by gifting her this stylish silver brass adjustable bracelet which carries your message and expresses your feeling aptly. The beautifully crafted piece of jewellery is expressive, elegant and is a great accessory for all occasions. Here is an exciting deal of different nail art tools providing endless possibilities for gorgeous nail decoration. 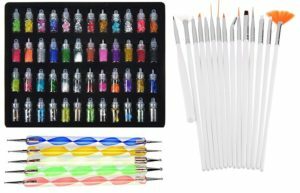 The package contains 48 glass bottles of assorted 3D beads, rhinestones and glitter along with 15-piece brush set and 5 nail dotting tools. This combo box is everything that today’s fashionistas want to own and your sister will definitely love you for the amazing gift. Chocolate gifts for girls work incredibly any day and for any occasion. The delicious Bogatchi chocolates are amongst the premium quality ones to celebrate the unique bond between brother and sister on the occasion of Rakhi. The product contains an assortment of mouth-watering dark and milky chocolates packed in ambient temperature to ensure an amazing chocolaty experience. The combo pack also contains a beautiful handmade Rakhi that you can tie on your sister’s hand with a promise to protect her forever. 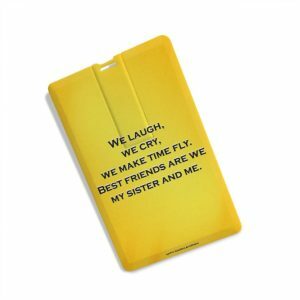 A credit card shaped printed yellow pen drive with a very sweet and heartfelt message for your sister that will impress her right away. The attractive and stylish product come in 16 GB and can store a lot of your data. The drive is really sleek and can easily put up in your wallet and be carried anywhere. 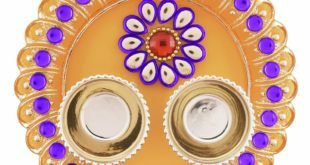 These Rakhi gift ideas for sister are amongst the most unique and functional ones that sisters will love to treasure for lifetime. 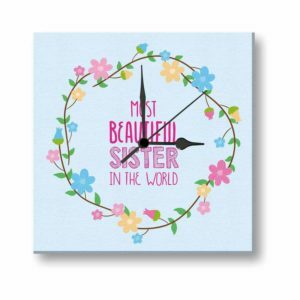 Make it special for your loving sister on the special occasion of Rakhi by gifting her one of these exclusive canvas clock designs. This specially designed and unique wall clock serves as a beautiful decoration as the centrepiece of your living room, office, kitchen or her personal room. Also engraved on the clock is a lovely message for your sister in the most artistic manner. 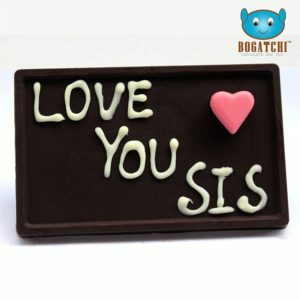 Express your deep love and feelings for your beloved sisters with these personalized handwritten dark and white chocolate bars from Bogatchi. Girls love chocolates in all forms and this huge delicious bar with the sweetest message on it is sure to melt their hearts. Gifts can never get sweeter than this pack. 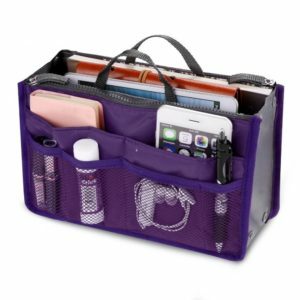 This multipurpose handbag comes with several pockets to help you classify all your personal items and easily hold them in a compact and portable manner. Use it to store your jewellery, cosmetics, toiletries, stationary items, tablets or mobile phones etc; a perfect companion during travel. The handbag is made from high quality faux silk material, is generously zipped, padded and quilted and thus, is an ideal gift item for your sister on this Rakhi. This colourful and premium quality coffee mug with a lovely design is a beautiful memory to share with your sister on Rakhi. Along with the digitally printed coffee mug, the pack also includes a handmade embroidered rakhi and a greeting card to make the occasion of Rakhi all the more special for your loving sister. 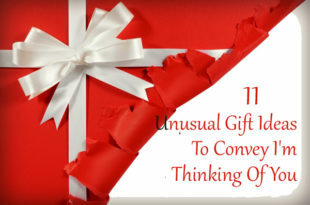 Gifting can be incredibly challenging when you have the satisfy the minds and hearts of little kids. And with Raksha Bandhan around the corner, you may want to reflect upon your little sister’s interests and find the ideal gift for your indulgent sister. 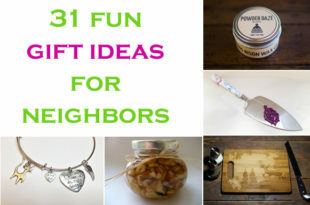 You may want to stay away from the customary gift ideas and add a touch of fun and quirkiness in your gifting style to match up to their expectations. 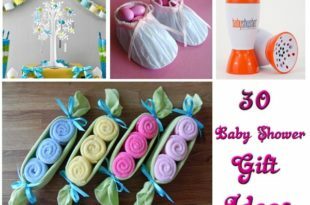 Here are some out of box ideas for Rakhi gifts for younger sister that will definitely light up her eyes. 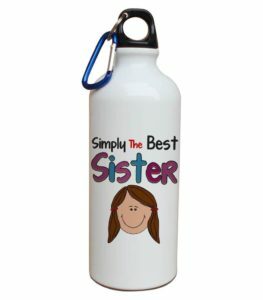 These cute little bottles from Printelligent are perfect gifting items to bring the brightest smile on the faces of your little sister and strengthen your bonds. Made of high quality durable material, the bottle has been designed for long term effective usage to cater to all your requirements. Also, the design is highly convenient and comes with attractive features and an ultimate grip, making it one of the perfect rakhi gifts for teen sister. The gorgeous prints designed from quality colours and inks are the highlights of this cute little bundle of joy for your little sister. 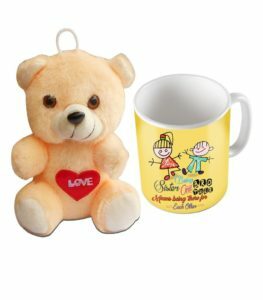 This coffee mug with teddy combo is the most sorted and perfect gift for your younger teen sister that will definitely impress her right away. 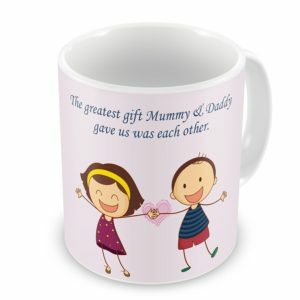 The coffee mug depicts a beautiful and playful version of the lovely bond shared between siblings in the most perfect and eye-catching designs that is sure to win your little sister’s heart. The package also comes with a small and gorgeous teddy bear, which little girls are generally fond of and will love to play with them. 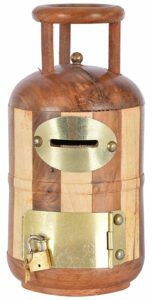 The money bank holder in the shape of a wooden cooking Gas-Tank is a cute little perfect item for your little sister on the occasion of Rakhi. 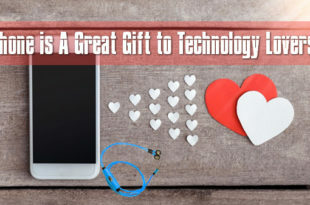 Not only is it an item for your sister to play with, it can also be used for decoration purpose and teaching your little kid the importance of savings for future. 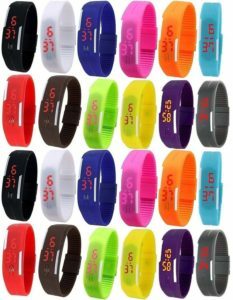 The pack contains an assortment 24 bright coloured led bands featuring red display. Made from top quality silicone, the size can be adjusted to fit all and serves boys and girls alike. Gift this pack to your little sister this Rakhi and she will make the most of the next birthday party or friends get together in your house. Also, you can customize this unique product and bring in your own little modifications. This cute token of love with a lovely message is one of the great rakhi gifts for little sister. 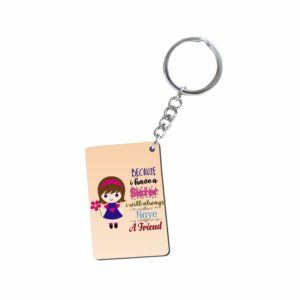 The keychain is made from high quality wood and it signifies the special relationship shared between brother and sister in the form of vibrantly printed content. This exclusively trendy and designer wrist watch allows your sister to be in trend and keep a tab on time in style. The watches also come in various strap colour and attractive dials to choose from. 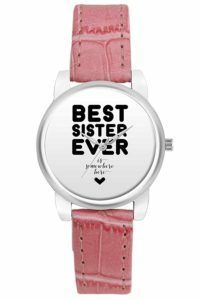 Made from faux leather, the band is durable and also impacts a chic look while the message on the dial speaks of your love for your little sister. 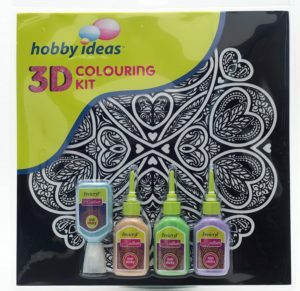 Little girls are always excited about drawing and colouring and this new 3D colouring kit presents a unique way of using versatile colours to fill in 3D designs that impart a completely new and different dimension to your art work. Present your little sister with this artistic gift item and she can try her hands through the various patterns and combinations and create beautiful décor designs. Sister in laws are your best friends, the rare kind of anchor and support strength in your family that smoothens your life. She will always come off as your knight and be your secret keeper for lifelong. And Rakhi is one of those perfect occasions to repay them by showing your share of care and affection and gifting her something different. Let your sister in law know how much you value and love her by making her feel special and adored with these thoughtful Rakhi presents. Women always love to keep their precious jewellery collections organized and safe. 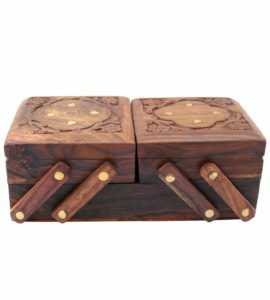 And thus, this handcrafted wooden jewellery box is to preserve and protect their valuables is one of a kind rakhi gift that they will treasure forever. Built from polished gold hardware upon real wood, this classical storage case presents the most stylish way of flaunting your essentials while keeping them utterly organized. It has a beautiful, curved look featured on a traditional design and a glamorous rich brown finish. If you are looking for best rakhi gift for married sister or sister in law, here is your go to item for the occasion. 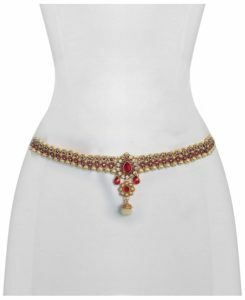 The sparkling gold plated belly chain is beautifully crafted from metal and has a gorgeous gold color sprayed on it. The product design features versatility and can be worn on different occasions with grace and style. It’s a must buy item and a unique gift that you can present to your sister in law on rakhi. 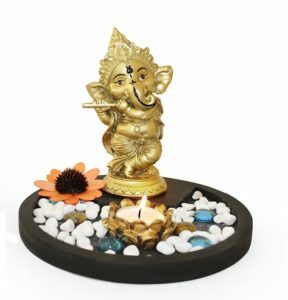 The handmade musical ganesha built from high end polyresin is a perfect gift to wish for all the success and happiness in your sister’s life. Glossy colours have been enamelled on the product with superb finishing to bring charm and life to your décor. The endearing and charming figure of Lord Ganesha is an exemplary and brilliant art work and unique gift item for Rakhi celebrations. 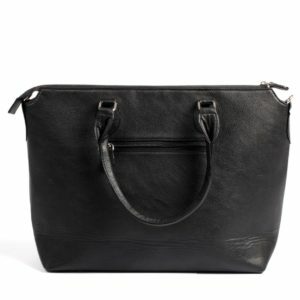 This stylish tote bag from Hamelin is a great accessory for work that can easily replace your bulky laptop bag. There’s enough room to spaciously hold your laptop, notepad, charger, mobile phone, pens, iPad etc. The faux leather material and jet-black colour make it all the more classy and attractive. Also, at 300 grams, it is one of the most lightweight handbags that you will ever find. This Rakhi, gift your sister in law the subtlest and yet powerful look to complement her workwear. Growing up, sisters are our best friends who keep all our secrets and share our happiness and sorrows together. And this sibling bond remains inseparable and equally strong even after marriage. With her out there making a home while also balancing professional responsibilities and commitments, this is your chance to make her feel that you got her back. Convey your love and affection for her this Raksha Bandhan by picking from among these special gifts that will definitely appreciate. The classical designer ware serving tray has been crafted from high quality wooden moulding, that imparts an extra ordinarily elegant look to your household and kitchen décor. The design on the tray has been inspired from Bengal’s folk art and richness and gloss of the hues add on to this multi-coloured beauty. This beautiful and functional artistic tray is amongst the best rakhi gifts for married sister. It can either be used as an art object display or the one for serving tea or coffee to guests at home. For your artistic and flower loving sister who has just gotten married, show her how much you value her with this beautiful package. It comes with a unique blend of simplicity and elegance that is an extra special gift for your sister. The cycle vase with pretty flowers flaunt gorgeous colours and style that can serve as a unique decoration piece for your house. 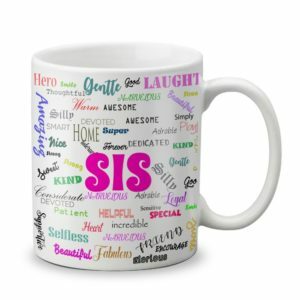 And the exclusive mug with heartfelt messages is a subtle connect between you and your sister that she will cherish forever. This Rakhi, gift your sister awesomeness and make it an extra little special for her. 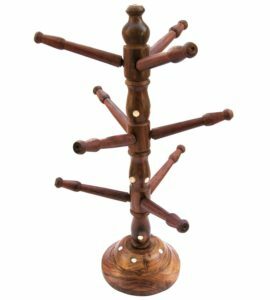 This beautiful decorative product in handmade tree style is an elegant gift item that combines great functionality as well. Carved from wood, the special antique bangle stand has gorgeous design work and 9 roads to put your bangles safely in one stand. If you are looking for best rakhi gifts for married sister, you cannot simply overlook this great product. 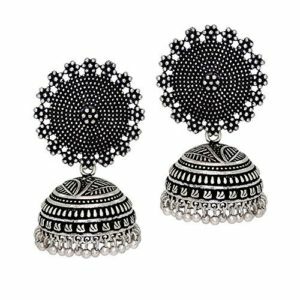 Gift your sister that flawless and graceful look with these beautiful traditional silver plated jhumkas. They are lightweight, comfortable and can be worn for long periods of time. Made from the look-a-likes of Emerald green stones and American Diamond, these earrings impart a classic design that works with all types of dresses. These little jhumkas are great value for money and must have jewellery pieces in your sister’s wardrobe. Indian society revolves around customs, beliefs and traditions and you can never let go of these values even if you are settled in a faraway country. Raksha Bandhan is an auspicious occasion to show your unadulterated love and affection for your siblings. And like all other festivals, Rakhi also involves gift giving to its core. More than just a gift, it’s a way of uniting with your sister and ushering in a sense of deep love and attachment for your sister. 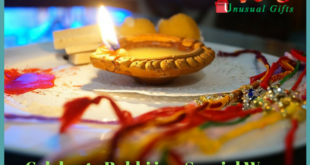 Sending Rakhi gifts for your sister in India is now super easy by browsing through the various items online and ordering through a few clicks. Also, you can safely deliver Rakhi gifts to your sister in different parts of other countries from India. Here are a few options to help you make your choice. This customization explosion gift box with notes and photos added will surely make your little sister’s day. It’s the best meaningful rakhi gift for sister to USA or living somewhere abroad. 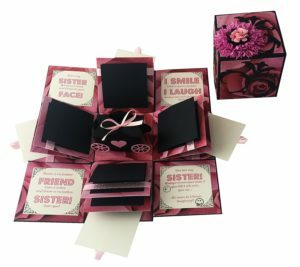 The closed box opens up, with sides falling back and revealing a huge gorgeous card of 3 layers containing 28 spaces where you can add personal notes, heartfelt sister messages and photographs depicting the special bond with your sister. The centre is in the form of a carriage where you can put in small gift items like chocolate or earrings. Customize this meaningful handmade gift according to your own tastes and it will definitely be the best rakhi gift for your sister. Here is the most exciting gift combo on Rakhi for your beautiful sister. 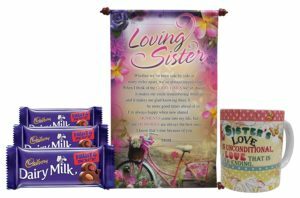 The package contains a customized ceramic coffee mug flaunting a lovely sister quote, a scroll card with the sweetest message signifying your love for your sister and 3 dairy milk chocolates. 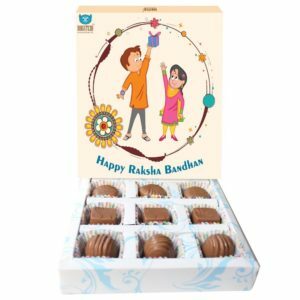 Make your faraway sisters feel special as you send rakhi gifts for sister to India and they will truly cherish the affection and unique gesture. 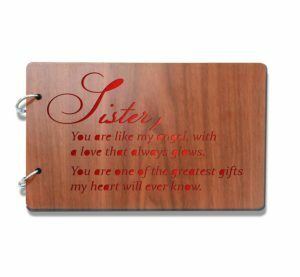 The photo album is in the form of a scrapbook, has a wooden cover material in brown with the most heart-warming message engraved on it for your sister. Inside it are black sheets of premium quality that you can use for pasting photos of your sister and all your moments of togetherness to create a beautiful story. Also you can use it as a family journal or travel log and make a creative gift of your own. 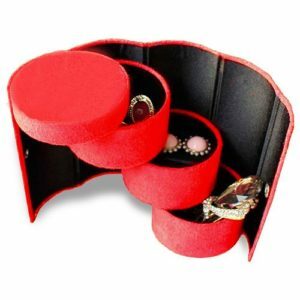 The compact little jewellery box comprises of different layers that opens up to space your little pieces of ornaments and can be easily carried along to places. It is convenient, flexible and is a great value for money gift that your sister will love to have and treasure. The square shaped wooden coasters are colourful and artistically designed to add some fun, lively charm and brightness to your interiors. 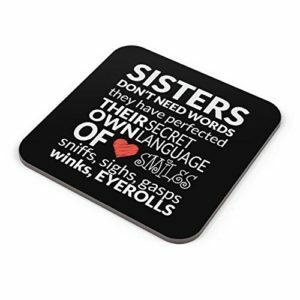 These coasters also exhibit a sweet little message for your sister and she can use them in her office, dining table or in rooms. Its premium quality and an affordable pricing make it a great package as a Rakhi gift item for your loving sister.